Trace Sheehan, writer and producer of the feature film, Food Evolution. Stay tuned for details and a link to the film in a separate Insider! This is your opportunity to get up close and personal with our sponsors! 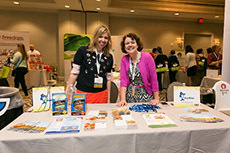 Our high-energy exhibit hall is where sponsors are able to share brand information and product samples with attendees. 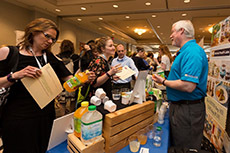 Engage and interact with this diverse group of companies, whose representatives understand the role of dietitians and are here to discuss products and programs that can benefit you and your clients. 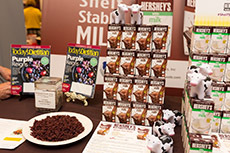 Many of our sponsors have samples to try, taste, and bring home, so feel free to consume all of the food, knowledge, and connections available to you in our Exhibit Hall. 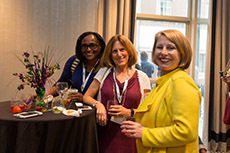 You can receive 1 CPEU by attending the Exhibit Hall on Tuesday, May 22. One CPEU is equivalent to one contact hour (hour spent in the Exhibit Hall). Complete an online evaluation at www.CE.TodaysDietitian.com to receive credit. 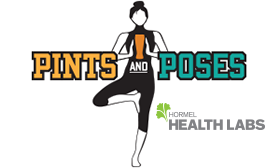 Flow from day to evening with a yoga class open to participants of all levels. Join Mandy Unanski Enright, MS, RDN, RYT on the Zilker Terrace for a 1-hour session that will draw from a range of yoga traditions. Following the session, participants can enjoy a complimentary local draft beer (or other cocktail of your choosing) and mingle with your fellow yogis. Sponsored by Hormel Vital Cuisine. Please start using our Symposium hashtag #TDinAustin for all of your event-related posts and tweets. Last year, our hashtag TDinNOLA trended #1 on Twitter in New Orleans for two days in a row and had over 8 million impressions. We want to top that this year and, together, we can do it!